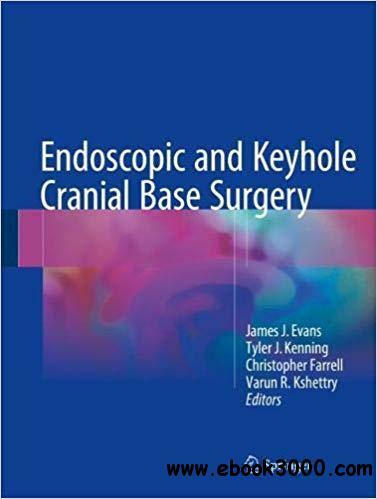 The first two sections of this text address endoscopic and keyhole surgical procedures for cranial base and deep brain structures. These sections provide a comprehensive, state-of-the art review of this minimally invasive field and will serve as a valuable resource for clinicians, surgeons and researchers with an interest in cranial base surgery. The philosophy, techniques, indications and limitations of endoscopic and keyhole cranial base surgery are covered in detail. This reference includes a discussion of the basic principles of these approaches as well as the preoperative planning, intraoperative pearls, and reconstruction techniques. The thorough descriptions of the practical and technical aspects are accompanied by extensive illustrations, figures and operative images. Extending beyond the technical details of these procedures, this text provides a third section that focuses on a thorough analysis and comparison of the endoscopic, keyhole and traditional open approaches to specific intracranial regions. Utilizing a "target-based" approach, the utility of each surgical technique is evaluated in regard to accessing pathology of the anterior, middle and posterior fossa cranial base as well as the deep central regions of the brain. All chapters are written by experts in their fields and include the most up to date scientific and clinical information. Endoscopic and Keyhole Cranial Base Surgery will be a valuable resource to specialists in optimizing surgical results and improving patient outcomes.